Round letter charm approx 16.5mm x 12mm (letter charms are Pewter). 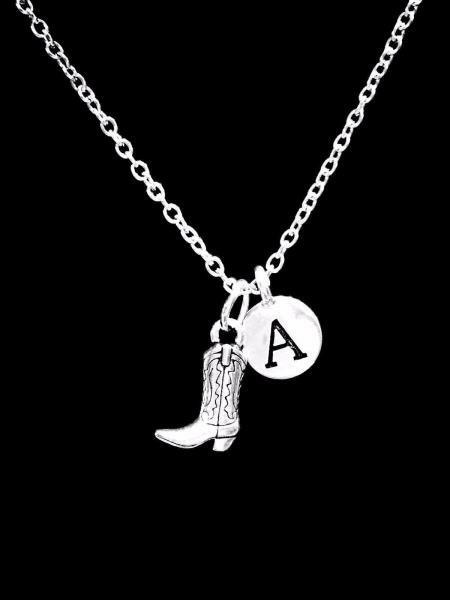 Includes 18" silver plated link chain with lobster clasp. Chain made of silver plated alloy. Please leave a note at checkout for the initial that you want. Brand new and includes gift packaging! -International Buyers: We charge only for item and shipping. Buyer is responsible for any VAT/ Import Duties that may be due upon delivery. Those fees don't come from us. Items must be returned in new condition, along with the gift packaging (gift box or organza bag that comes with item must be returned also). If items were sold as a set, all items in the set must be returned. Partial returns or refunds are not permitted. Buyer pays return shipping. - Keep jewelry dry and away from chemicals, such as lotion, perfume, chlorine, etc.